A beautiful Vanity Fair Silver 'Piccadilly' Compact Mirror. 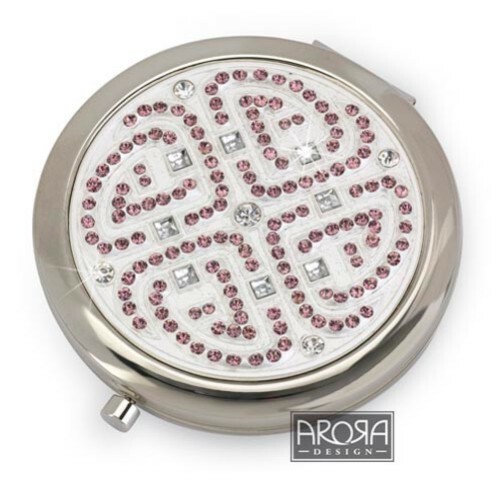 This amazing mirror measures 64mm diameter and comes in a luxury gift pouch and gift box. A beautiful pink and clear stone design.